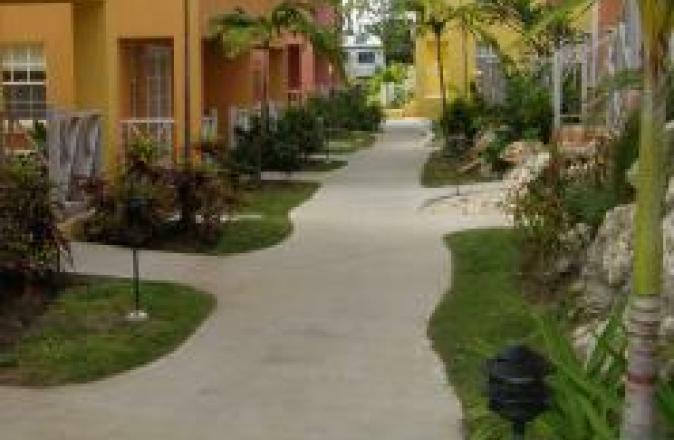 Ajoupa Villas is located in Fitts Village, St James, close to restaurants, bars, a supermarket and banking facilities. 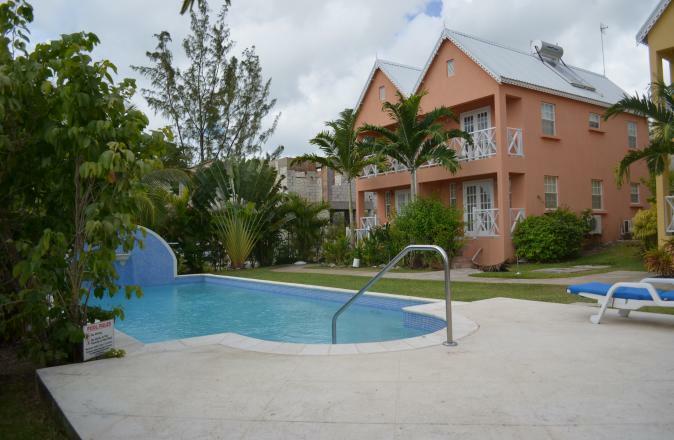 This modern 2 storey townhouse is set in tranquil tropical gardens with a communal pool. 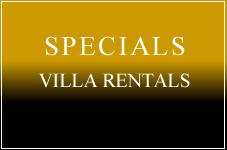 The property is tiled throughout and is tastefully furnished and finished to a high specification. The functional kitchen has granite counter tops and a full range of appliances including a microwave and cooker. The washing and drying machine is located in the laurndry area next to the kitchen and back door. 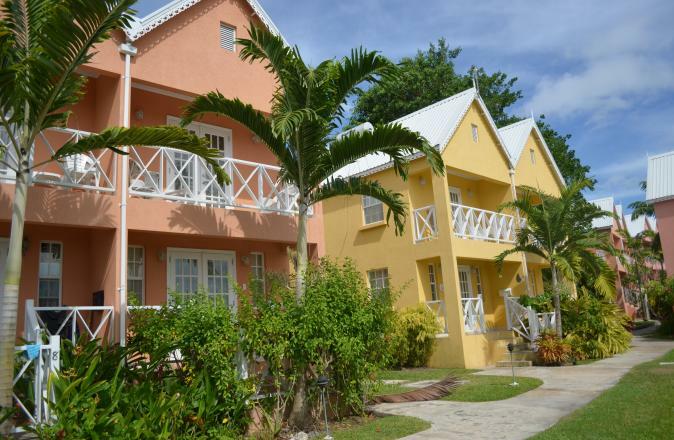 The fully furnished, open plan living and dining room area is bright and airy and contains cable TV, modern furniture and space that flows stright onto the front veranda. What better way to enjoy yourself than to relax on the patio, around the pool or on your private veranda, basking in the glorious sunshine or just simply stay indoors, read or watch TV. Ajoupa 11 is a wonderful townhouse. The grounds are beautiful and well maintained. The pool is clean and the area itself is quiet. The apartment is equipped with air condition units and ceiling fans. It’s has all the amenities you could possibly need for your stay. It’s in walking distance to a supermarket and restaurants and it’s on the main bus route. Internet facility via internet card. Large communal pool with wide decking. 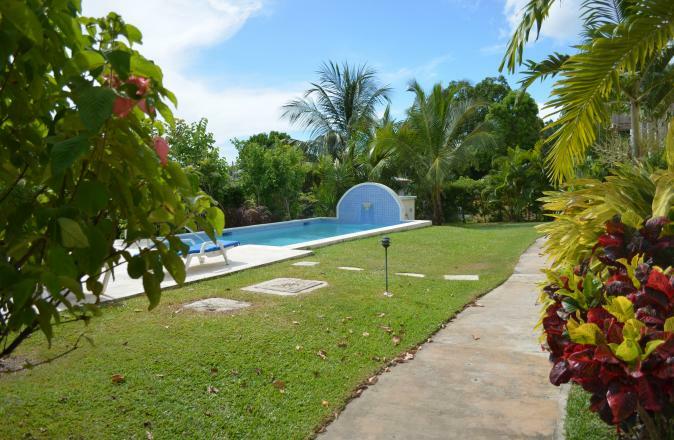 Property has sun lounger and four chairs which can be used by the pool.